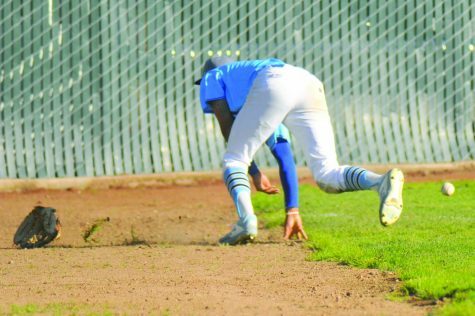 Saint outfielder Tyler Barry slide back into first before the tag by Comet first baseman Eric Whitfield during CCC's 6-2 loss to Mission College at the Baseball Field on Sunday. The Comets (3-11 overall) played Sunday at the Baseball Field to make up a contest canceled due to rain. The team faced Mission College (6-5 overall) but fell in the contest 6-2. The game was quite the opposite of Friday’s extra innings match-up, and moved swiftly finishing in two-and-a-half hours, with rain sprinkling 45 minutes after it ended. Pitching dictated the overall tempo of the game for both teams. 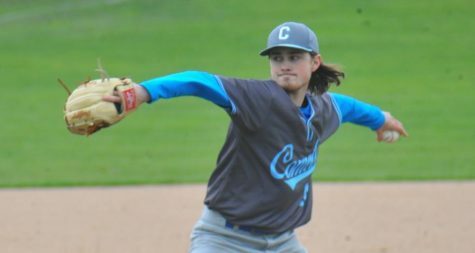 Saints’ starting pitcher John Kelly sat down the first 12 Comet batters with four consecutive three-up, three-down innings. The Saints’ early success gave every indication that something was off for the home team. 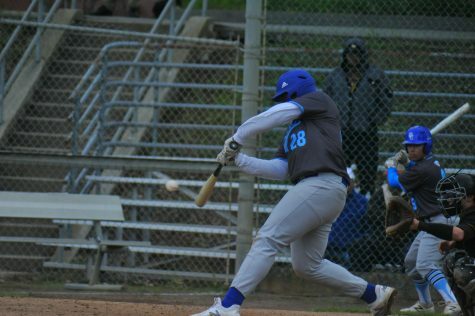 Contra Costa College hitters made solid contact but couldn’t seem to find the open gaps to put runners on the bases at the beginning of the game. “I felt like we hit the ball hard, but right at people. They just played good defense,” Comet catcher Alex Melendez said. 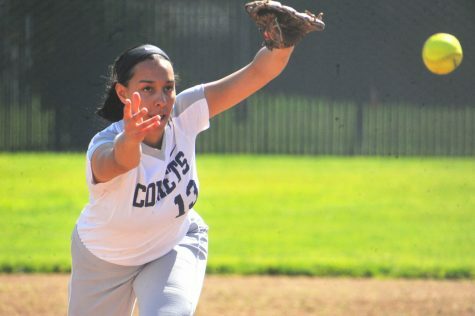 Although CCC came up short against Mission, its pitchers continue to show signs of success. 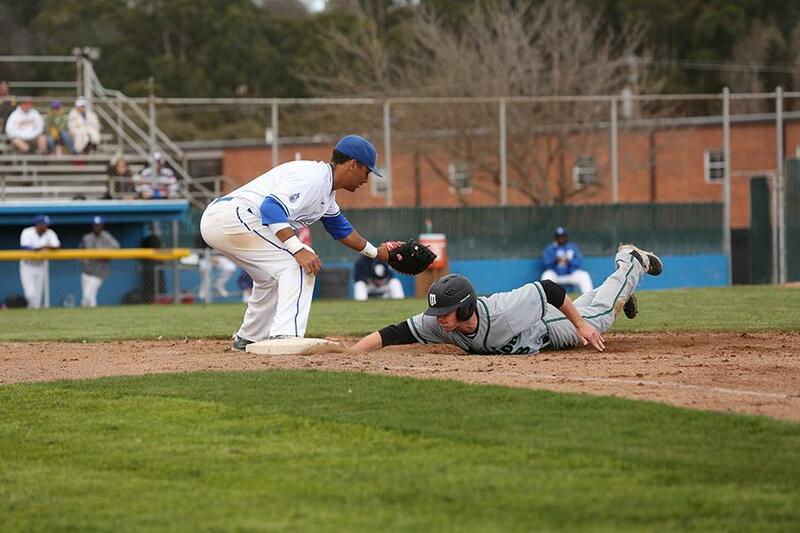 No CCC pitcher allowed a single runner to reach first base on walks. There was no combination of starting and relieving pitchers that achieved that through nine innings last year — proving what they are capable of when they put their minds to it. 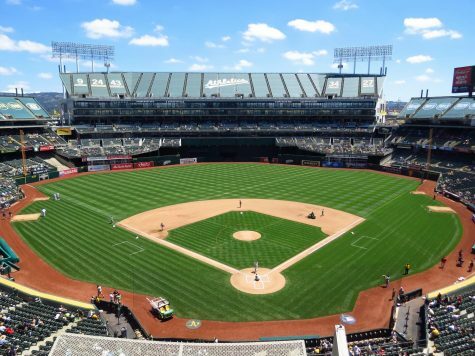 In fact starting pitcher Tyler Reames, who went to Vanden High School in Fairfield, was almost too accurate with some of his pitches significantly contributing to the outcome of the game. 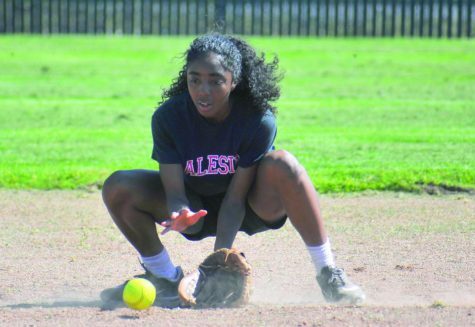 “I got into trouble because I left pitches over the middle of the plate, and then had to make the adjustment. 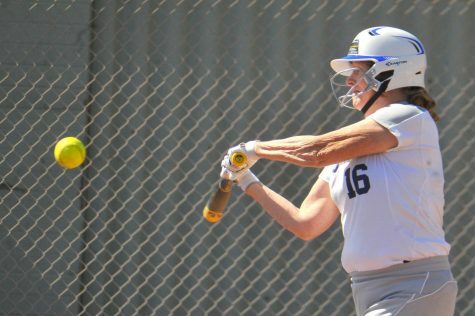 They strung together a bunch of hits in the second inning to get runs,” Reames said. It didn’t help that the baseball gods blessed the Saints with third baseman Jake Martinez who demonstrated reflexes similar to that of a cheetah, pouncing and scooping up grounders. He made four diving stops where he fielded the ball right on the third-base line, one of which was a laser line drive that he sprawled out and caught. Three of the four hits down the line would have been doubles had they found the outfield grass, with the speed the Comets displayed. 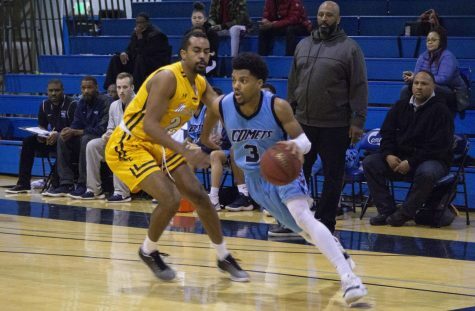 Coach Brian Guinn said as a team the Comets have to continue to play hard, look to the future, and prepare for the Bay Valley Conference games. 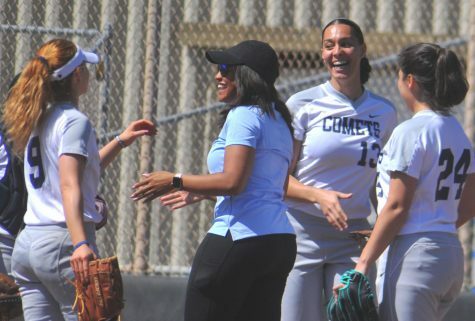 The Comets’ overall record of 3-11 is nearly identical to the 4-10 mark that the team posted after 14 games last season — which some see as a cause for concern. Reames said this is a crucial time of the year when they must stick together and play as a family.